Jamie Coe (born George Colovas, 19 November 1935, Dearborn, Michigan - 27 January 2007, near Garden City, Michigan) was a musician and entertainer who fronted the Gigolos, the most popular rock-oriented band in Detroit. A top draw in rock 'n' roll circles during the Elvis era, Jamie Coe drew the interest of several record companies over the years without ever quite achieving the big breakthrough his talents merited. 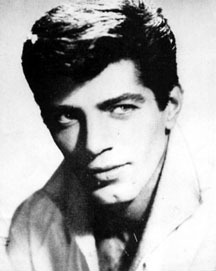 Born to Greek parents in the Detroit suburb of Dearborn, Coe got his first break when Marilyn Bond*, a young music promoter from Garden City, spotted him performing at a teen dance in Dearborn in late 1958. She took him into a local studio and cut some demos and also got him a spot on a local TV show in Flint, Michigan. He was then going by the name of George Cole and the Marquis. When "A Cavalcade of Stars", a package tour featuring Bobby Darin and other chart acts came through Detroit in early 1959, Bond inveigled local boy Cole an opening spot. 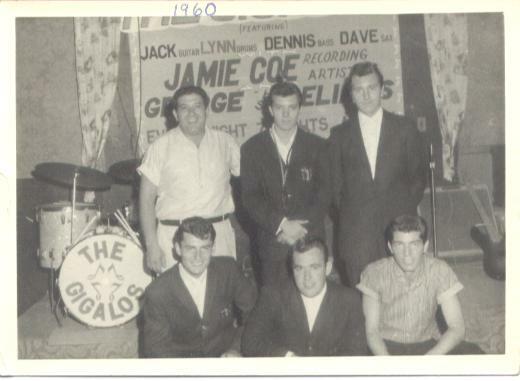 Suitably impressed, Darin invited Cole and his young manager to his hotel after the show and offered him a recording contract, changing his name to the snappier sounding Jamie Coe during the course of the discussions. 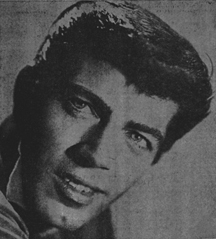 Darin was dabbling in record production as a hedge against future career failure (he had already recorded "Mack the Knife", but it had not yet been released at that time). Together with a New York song publisher, Joe Csida of Trinity Music, Darin decided to launch his own label, Addison Records, with Coe as its principal artist. 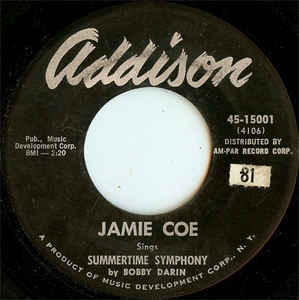 The Bobby Darin composition "Summertime Symphony" (which sounds almost as much like "Sweet Little Sixteen" as "Surfin' USA") was the first of Coe's two 45s for the new label. The second was "Schoolday Blues" (Addison 15003), released in October 1959. 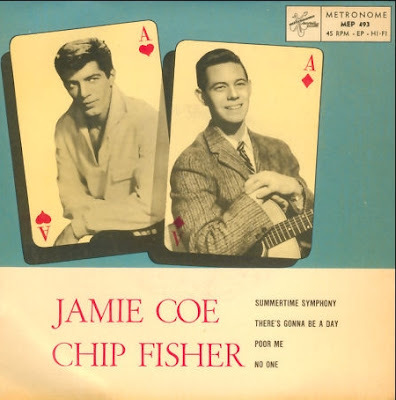 Both of Jamie's Addison singles were issued in the UK on Parlophone. By late 1959. Darin's career was red-hot with "Mack the Knife", and he told Coe regretfully that he was too busy to give him enough attention as a manager. Addison Records turned out to be a short-lived affair, with only six releases. Marilyn Bond resumed her activities as Coe's manager and got him signed to ABC-Paramount. Four ABC singles were released in 1960-61, the last one of which, "How Low Is Low"/"Little Dear, Little Darling" got a British release on HMV POP 991. Jamie's next stop was at Bigtop Records in New York City, where his records were produced by Del Shannon's manager, Harry Balk. In 1963, Coe's revival of Sanford Clark's 1956 hit "The Fool", stalled just outside the US Hot 100 in the Bubbling Under section. It was his last UK release, on London HLX 9713. A fixture on Detroit's budding rock scene in the early 1960s, Jamie Coe & the Gigolos were a sharp-dressed band with a tightly choreographed show. Performing at area teen clubs and nightspots such as Dearborn's Club Gay Haven, Coe and his band played their own regional hits like "The Fool" and "Black & Blue" among slick cover versions of rock 'n' roll standards. There were further releases on the Detroit label Enterprise in 1964-65, but by then the Beatles had come along and spoiled it for Jamie and a lot of his contemporaries. But no matter, they still loved him in Detroit. 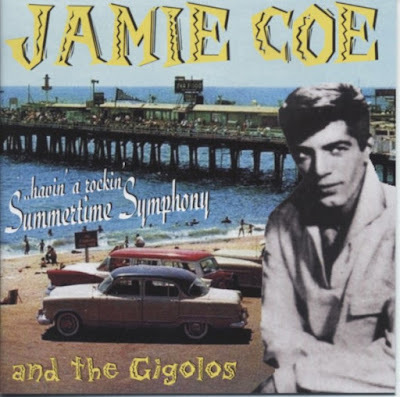 Coe owned two clubs, Jamie's (in Garden City, Michigan) and Jammers (in Livonia, MI) and performed each Wednesday night at the latter, with his group the Gigolos. Jamie died Saturday morning in Livonia after he had a heart attack while driving home from his nightclub, Jamie's, in Garden City, January 27, 2007. He had performed earlier during the night but wasn't feeling well, family members said. The CD "A Long Time Ago" (Legends of Music, 29 tracks) is an almost complete overview of Jamie's recorded output. A big thank you to Jake @ LOADSAMUSICS ARCHIVES FORUM for active link. I always remember we had a copy of 'The Fool', which sounded to me like Del Shannon was playing the guitar!